Like the Group C grid, the eligibility of Group A cars is the same. Group A racing is now seeing regular grids of 15-20 cars. 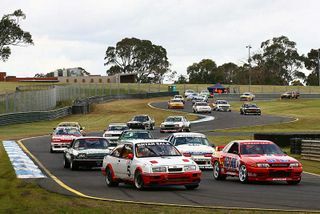 Both groups are regularly gridded together under the name Heritage Touring Cars.